I'm new to this site, but intend to make this the first of several posts. Back in 1985, I left teaching (Maths and English) to pursue my love-of-opal hobby and turn it into a business, to buy/sell opal. 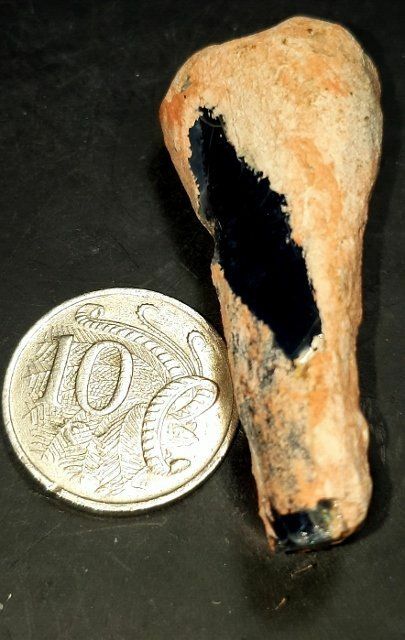 Along the way I've acquired many opalised fossils from Coober Pedy and Lightning Ridge and would like to share some of them, in here. Most recently, I was in the Ridge for the 2018 Opal Festival, late July. On Sunday mornings there's a kind of Flea Market with various stalls selling rough/cut/specimen opal, cake stalls, second-hand stuff and usually a sausage sizzle that provides breakfast. It's on the SW corner of the Main Road into town and the 3-Mile Road. Sometimes, I've been able to buy a decent rub or even a bag of rough. I remember getting a small opalised whelk in situ last April, but I can't find a photo. However, on that Sunday I got lucky. I bought a bag of several (about 30 pieces) of rough --- I could see one would cut a nice doublet, 2 pieces for solids (maybe more). A mixed bag. When I returned to my room, I tipped the 30-odd pieces out. Most were geological, ie amorphous lumps or nobbies but one made the hairs on the back of my neck stand up. 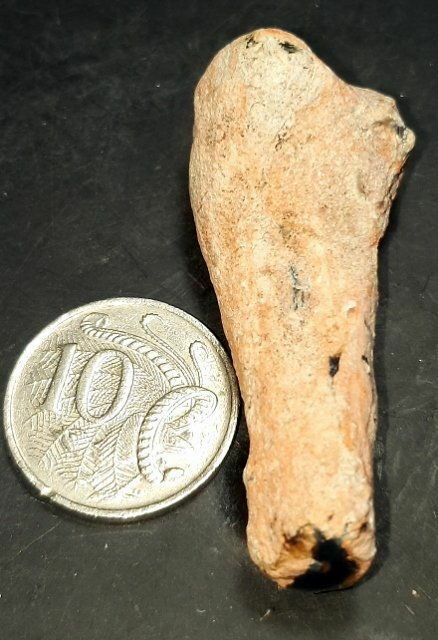 It's since been confirmed, (unknown) dinosaur femur fragment, as I suspected. A pity it's broken, and I wish it had even a lick of blue colour, but I still think it was great luck! Well done Fossil, nice find. I don't know a lot about the WA opal. Did some Googling, interesting. Finding gold AND black opal would be fantastic. Do you know anyone who has?